DALLAS (April 4, 2012) – Messina Hof, one of the fastest growing and award-winning wineries and resorts in Texas, recently announced its winning wines from the 2012 Dallas Wine Competition, presented by the Dallas Morning News and TexSom. This year marks another strong showing for Messina Hof, who has earned a total of 19 awards since 2000 from the Dallas Wine Competition. “Messina Hof is proud to be recognized by a panel of such esteemed judges. We strive to produce some of the best wines in the world and are grateful to have our wine appreciated by a panel of experts. These awards are a testament to the high quality of wines we produce” said Paul Bonarrigo, owner and co-founder of Messina Hof Winery & Resort. In its 28th year, the Dallas Wine Competition’s prestigious panel of judges evaluated 3,146 wines from 31 states and 20 countries, categorizing by country and appellation. The publication of the list of award winners serves as a buying guide for restaurants, retailers and wine enthusiasts worldwide. For more information about the 2012 Dallas Wine Competition, visit http://www.dallaswinecomp.com. For more information about Messina Hof, visit www.messinahof.com. 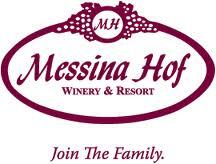 Messina Hof Winery and Resort was established in 1977 by Co-Founders Paul and Merrill Bonarrigo. Messina Hof was founded on family values, romance and tradition. Messina Hof is the leader in the establishment of the Texas wine industry and ranks as one of the fastest growing, most award-winning wineries in the state.In 2011, the Bonarrigo family expanded their winemaking tradition by establishing the Messina Hof Hill Country Winery in Fredericksburg, Texas. Five-time winner of the “Top Texas Wine” at the Houston Livestock Show and Rodeo, Messina Hof wines are handcrafted at the winery, located in Bryan, Texas. In 2011 Messina Hof was recognized as “Best of Herd” winery, or best Texas winery, and “Best of Class” at the San Antonio Stock Show & Rodeo Wine Competition. Messina Hof Winery and Resort in Bryan boast on their 100 acre property the Vintage House Restaurant, origin of Vineyard Cuisine, the Villa, which was voted “Most Romantic Bed and Breakfast in the USA” and the Wine Master’s Room Wine Bar, voted best wine by the glass in the Brazos Valley. In 2011, Messina Hof was named “Texas Grand Star Champion” at the Lone Star International Wine Competition.